… but don’t worry, that’s what YouMotorcycle is here for. Hi! I’m looking for advice on the exit to “M” for my motorcycle license. My issue is that I have a 150cc scooter, and I’ve phoned the Ministry of Transportation, and they said I can’t do the test because I can’t ride on a 400 series highway with a scooter that can’t exceed more than 80-90km/hr. They recommended I borrow a motorbike to use instead. But I don’t feel comfortable driving a motorcycle. I did use a motorcycle for a course, but that was nearly 4 years ago, and I haven’t looked at one since. I was wondering if you had advice as to what to do about getting my full M, or even at this point an ML license. I’ve been considering just selling the thing because it’s been frustrating finding consistent information. I replied that the Ministry may have this rule, but most motorcycle riding schools did not. The riding schools have many routes they’re allowed to take students on for the M2 exit test, some are made specifically for vehicles which are not limited in speed and can exceed 80 km/hr., regardless of engine displacement. Hey!I haven’t made any progress. In fact, it’s one frustrating phone call after the other. No one from the Ministry of Transportation has ever given me a straight answer on what to do besides renting a bike.I find it frustrating that I’m forced into getting a motorcycle license with my 150cc scooter, and then I’m told I can’t go for the license for that vehicle. Thanks for the lead to call the riding schools. I’ll give them a try and see what they say. So here’s an open invite to the motorcycle riding schools to offer some clarification. First one to contact me with help for Kelly will get their answer posted and a link back to their riding school’s website. “Hey Lisa, Yes, RTI has a specific course and test route for people in this category. We can put someone on a 150cc scooter through their M2-exit course and test and they will have a full M license upon passing.We call this our “non-highway” course, but it’s exactly the same course as our regular M2-exit for larger displacement motorcycles, only the expressway portion has an 80km/h speed limit. Here is a link to the website: http://www.ridertraining.ca/courses_strategies.html Kelly should call RTI and identify wanting to take an M2-exit course on a 150cc scooter. Barb.”So there you go, they can get the full m with RTI. Thanks for the help, Lisa and Barb. We appreciate it. 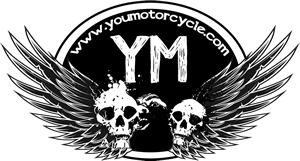 If you have any motorcycle related questions that YouMotorcycle can solve please contact us. Congrats John! What do you ride or what do you plan on riding? 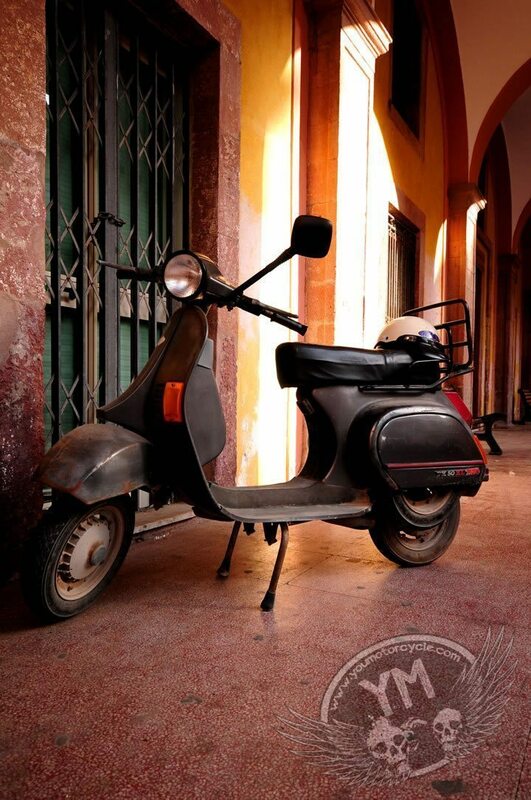 Thanks for the response, i ride a piaggio 150cc scooter, and i was wondering if it’s a full speed motorcycle. I did the M1 exit test on it, and they condisered it to be a full speed bike, i now have my M2. Can you give me any more info, if i can take my 150cc to get my full M. john. You will be asked to merge onto a road with an 80 km/hr speed limit. As long as you’re comfortable merging with traffic on an 80 km/hr street, the street itself isn’t all that relevant. I have a Fly 150 myself, I use it as my winter beater bike. That bike can handle that kind of merging without issue, just make sure to do your headchecks, signal on the ramp, and turn off your signals and check your mirrors after the merge. same deal with when you’re asked to change lanes. Yep what he said the Hanlon is in Guelph the top speed on it is 80kph unless it is being worked on then it is reduced to 60.
can you take the test at kenora, on a 150cc bike, and can you take the test at the burlington site, on a 150cc bike. I would really appreciate an answer. Sincerely, john. No one here works for the ministry. Asking us what you can or can’t do at one location is like calling up your family doctor and asking what topings your local pizza place carries. Why not just call up the ministry and ask them about specifics like this? Wouldn’t you rather get this kind of information directly from the source? i was just wondering i live in hamilton, and have no way to get to quelph, or to london. Can you take the M2 exit at kenora in stoney creek, or at the burlington site, on a 150cc scooter? See my reply to John’s message above. What is the exact route they take you on when you are taking your M2exit at Burlington drive test venter I would really like to know since I will be taking my M2exit next week in Burlington. Sincerely john. Hi John, couldn’t tell you. Think about asking on GTAMotorcycle.com – it’s a greater toronto area based motorcycle forum, you’ll find lots of riders from the Burlington area. Can anyone advise what the current route is in London for a 150cc scooter? My test is next week! Any tips or warnings would be appreciated. I’m up for my M license in a few weeks on my 125cc scooter. It seems that Gueph is the only place in the Toronto area that does the test on a 80 kph road. At Toronto’s Downsview testing centre, they do the test on the 401 (which is likely nowhere near 100 kph because of traffic). I have no way to get to Guelph, so I’ll see if they let me take the test at Downsview. It seems extremely strange to me that scooter riders in Canada’s most urban area would have to take a highway test at all. Living downtown, I seldom drive over 60 kph. That is strange, but you could always ride to Guelph on your 125cc. Ashley rode to Wasaga on her 50cc scooter years ago! I live in Bủlington and I have a Honda Grom. Ít’s a 125cc môtorcycle that ís registered, plated and insured. It can easily do 120km an hour. Can i take it for my M road test? It handles easier than my Suzuki 650 VStorm. Yes. You should be fine. If they say anything, be sure to tell them that it is NOT an LSM (limited speed motorcycle) and is capable of highway speeds.